Catalogue > Cities: maps and sights of cities and villages > 10. 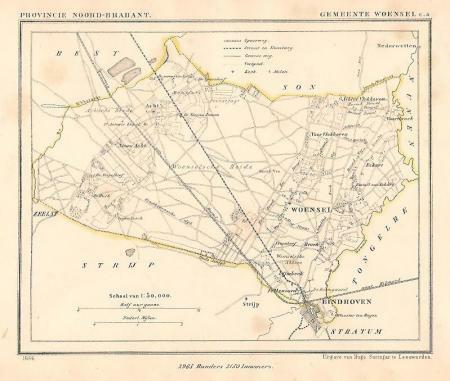 Kuyper maps Limburg, North Brabant and Zeeland > WOENSEL. Eindhoven. Hoogte (incl. 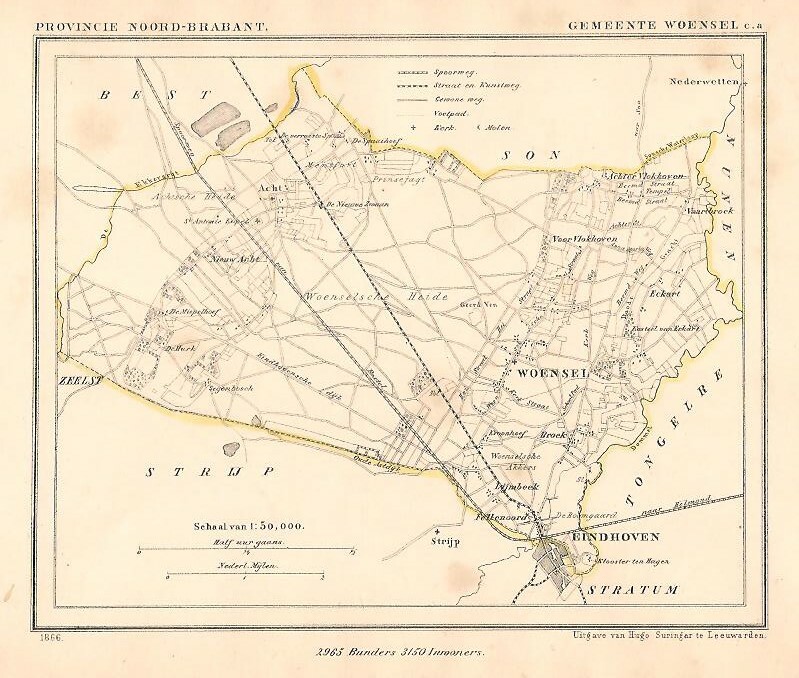 bijbehorende tekst) 16,2 cm; breedte 18,5 cm.